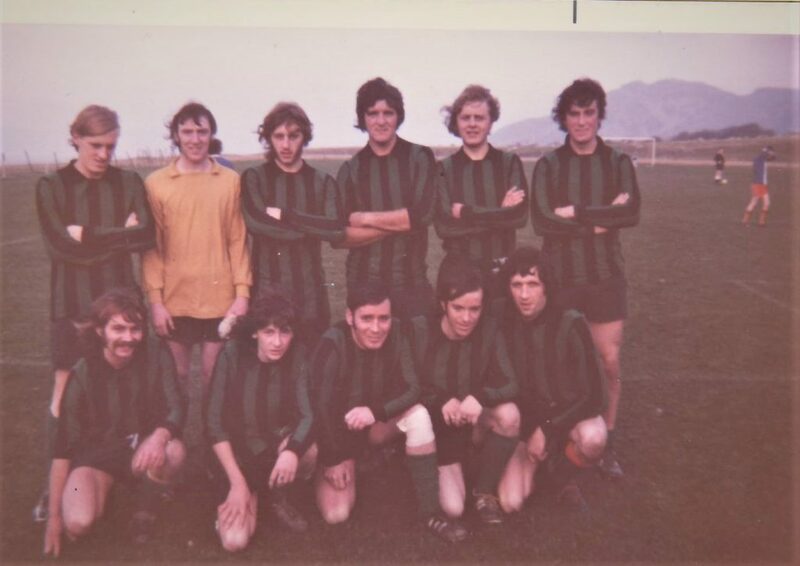 Here is a photo of the Pen Reserves side (73/74) that came 2nd in the Vale of Conwy, Division 2, and were promoted behind Cerrigydrudion after 2 years in the 2nd division. 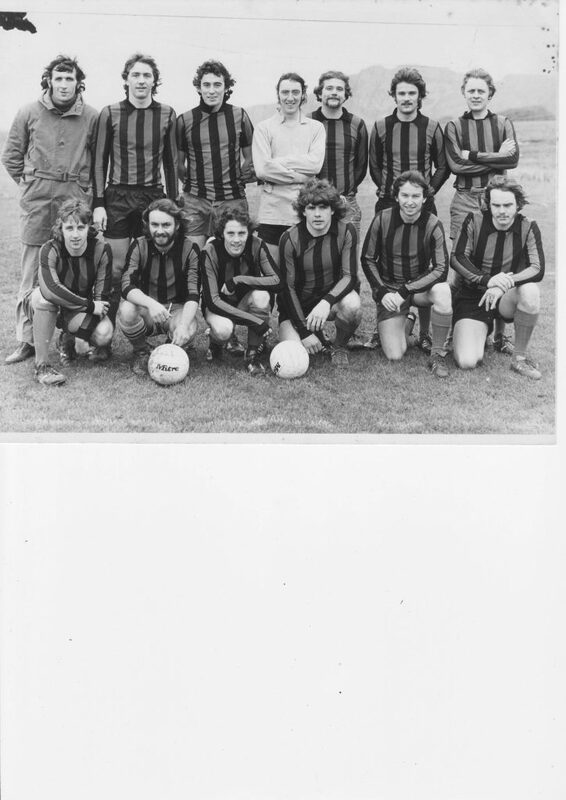 Standing, L to R. Stan Stringer, Elwyn Hughes, Peter Williams, Colin Cotton, Gwyn Hughes, Kevin Leach. At the end of that season Penmaenmawr Town dropped out of the Welsh League. We then held a meeting in the Alex Hotel, Pen, to decide what we must do as no-one knew why they’d withdrawn. The fear was, that if it was for financial reasons, could we be held responsible for any debt ? It was decided to form a completely new club. 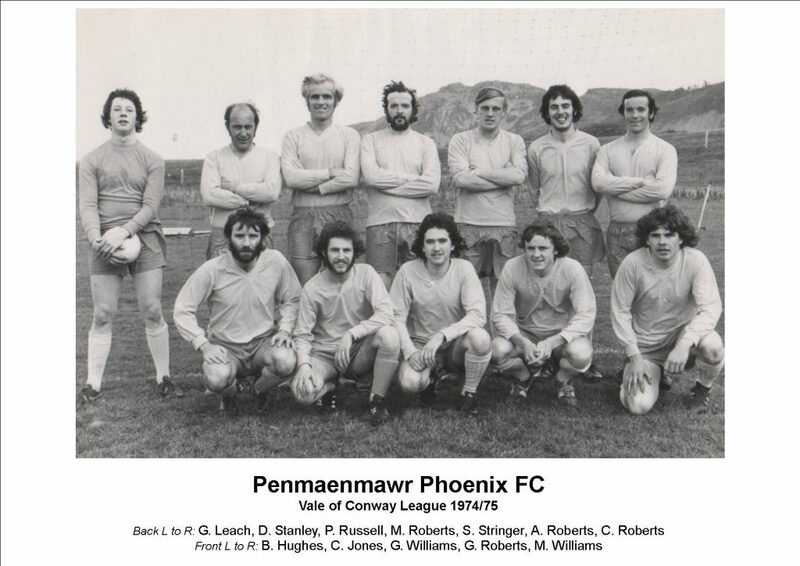 Many names were put forward and it was a supporter who was in the pub at the time “Laurence Parry” that proposed “Phoenix” (out of the ashes) Everyone liked it and Pen Phoenix was born. Junior Cup against Hirael Utd (Bangor) 2 – 2, at Bron Wylfa. 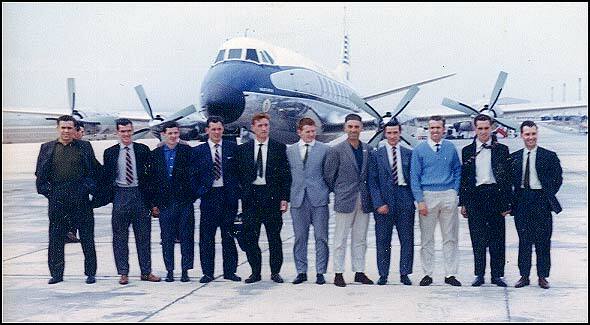 Hywel Evans (M) Phil Russell, Kevin Leach, Elwyn Hughes, Phil Jones, Dennis Humphries, Gwyn Hughes. Peter Williams, Dave Edwards, Selwyn Jones, Mike Williams, Steve Owens, Paul Newlove.